Herbicides work well in controlling unwanted vegetation growth such as weeds or grass. Areas in the landscape where herbicides are useful include walkways, between pavers, driveways, stoned areas and the garden. Once applied, the targeted plant's foliage absorbs the herbicide and it passes through the plant into its root system, killing it. Most home improvement and garden centers carry multiple varieties of herbicidal products. They also carry sprayers to apply the herbicide. Some products come in ready-to-use, premixed containers. Concentrated herbicides require mixing. Follow the specific herbicide's product label directions concerning amounts when mixing. Mixing and spraying herbicide is relatively basic. Mix and spray the herbicide on a hot, sunny, wind-free day for best results and application control. 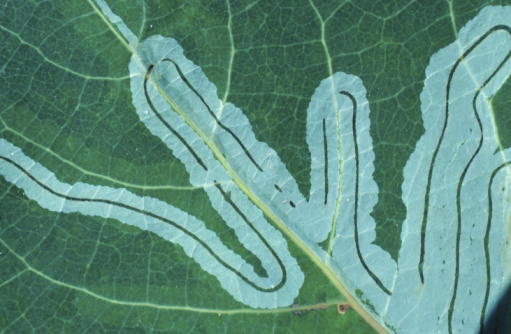 Spraying on a windy day can result in death or injury to desirable plants. Apply and mix the herbicide in a tank sprayer. Use a sprayer manufactured out of plastic, fiberglass or lined stainless steel. Unscrew and remove the tank sprayer's top. Turn the top counterclockwise to release it from the tank. Fill the tank 1/2 full of water. 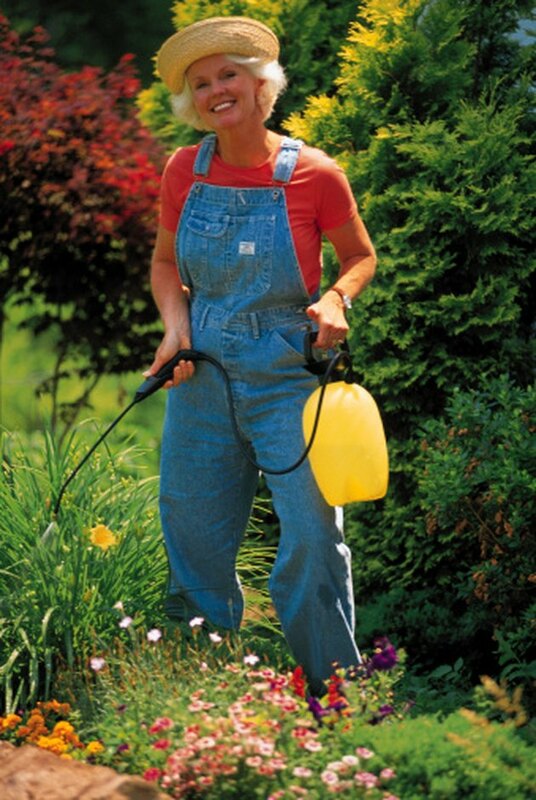 Place water into the tank sprayer before adding herbicide, as recommended by The Ohio State University. Shake the closed bottle of herbicide to mix the ingredients together. Pour the label's recommended amount of herbicide into the tank of water. Fill the remainder of the tank with water. Allow enough room between the tank's top and the herbicidal liquid for the product to flow properly and the tank to pressurize when pumped. Screw the top of the tank sprayer back in place. Shake the tank sprayer to mix the herbicide and water. Adjust the tip of the sprayer's wand to achieve the desired spray pattern. Twist the nozzle left or right to increase or decrease the amount of herbicide released. Test the spray pattern on a safe surface such as concrete before applying in the garden. How Can I Tell What Size Propane Tank I Have?